Social media is rapidly evolving and it is vital for organizations to actively engage and manage their social media presence. Millions of customers now have instant access to their social media accounts at their fingertips, making it easier than ever for them to vent their frustration about an organization’s bad service. But are organizations listening and if so, how should they respond? It is understandable that every organization will at some point experience a broken process, technical glitch or unfortunate moment due to human error. The challenge is to ensure potential risks or mistakes are identified early enough to avoid them becoming a customer service issue, and to know when and in what ways to respond. Research that we conducted with the Customer Contact Association (CCA) revealed that most British consumers (89%) are likely to tell the organizations they do business with if they receive poor service, yet almost half (44%) do not believe they take notice of, or really care about it. More shockingly, a third of organizations polled indicate they overlook social media completely, with most respondents reporting that they look at less than 2% of customer interactions across these web-based channels. With today’s new social customers quick and often unforgiving with their negative feedback, consumers can strike back with lightning speed and sometimes with detrimental results. 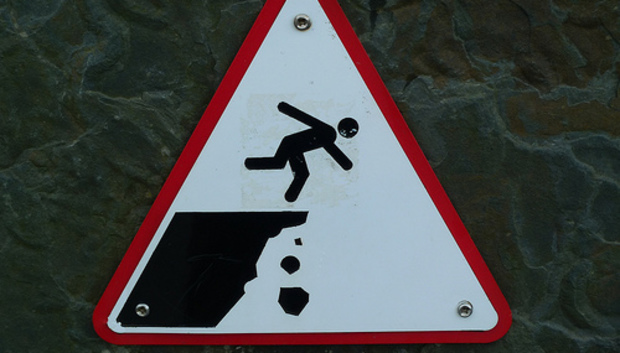 Some potential pitfalls as businesses grow can be avoided if you heed the lessons others have picked up along the way. The following summarizes several customer service blunders, each of which resulted in a backlash of negative customer feedback and media coverage. After announcing a significant price increase, many loyal customers cancelled their service and responded to the change via social media. The Internet subscription service apologized, but the request for forgiveness was drowned out further by a decision to tier its offerings, resulting in a loss of dedicated customers. By incorporating insights from a panel of existing customers to flush out the various options, the change could have been better communicated and the result less negative. A leading retailer announced its new branding and then abruptly withdrew the decision only a few days later. In what amounts to a corporate mea culpa, the company posted a message to its Facebook account saying, “OKwe heard loud and clear that you don’t like the new logo.” The company reintroduced the original branding, and in doing so, deserves credit for moving swiftly to respond to customer reaction. No doubt, some focus groups were conducted, but this particular example proves that a larger, unbiased sample across different segments could have made a difference. After the release of a new mobile phone, customers experienced constant dropped calls. This technology innovator, however, didn’t respond to the numerous complaints it received for an entire week, because its research showed that only half of one% of users actually encountered the problem. The voices posted on the social networks proved otherwise, and the company offered a free accessory to millions of buyers. Identifying the situation earlier could have saved all kinds of headaches on both sides. It’s important to realize that customers who are already loyal to your products and services tend to be forgiving - to a degree. That said, you can’t take them for granted. Modern analytics platforms can help identify key customer issues early and arm an organization with the intelligence they need: saving time, resources and brand image. This invaluable intelligence can help avoid the social pitfalls by arming your business with the ability to monitor and detect unforeseen trends, manage consumer panels, seek ongoing ‘actionable’ feedback, and finally take proactive action around customer insights and requests. Callum Macleod (Africa) - Security Best Practices: Wise to Cut Spending in Poor Economic Conditions?